Tarantino and Pick in 2016. It can’t be easy dating Quentin Tarantino, who we’re guessing fills every free night with Chinese mànhuà comics and Jacques Rivette shorts. It appears, however, that the Pulp Fiction and Django Unchained director has found his match in Israeli singer and model Daniella Pick. Per The Hollywood Reporter, the couple will wed tonight at a ceremony in Los Angeles. The pair’s romance first blossomed in 2009 when they met on Tarantino’s press tour for Inglourious Basterds. They split soon after, but, with the Jack Rabbit Slims dance floor beckoning, they reconnected in 2016 and the rest is history. If you’re interested, you can head over to Pick’s Instagram to see shots from her bridal shower. 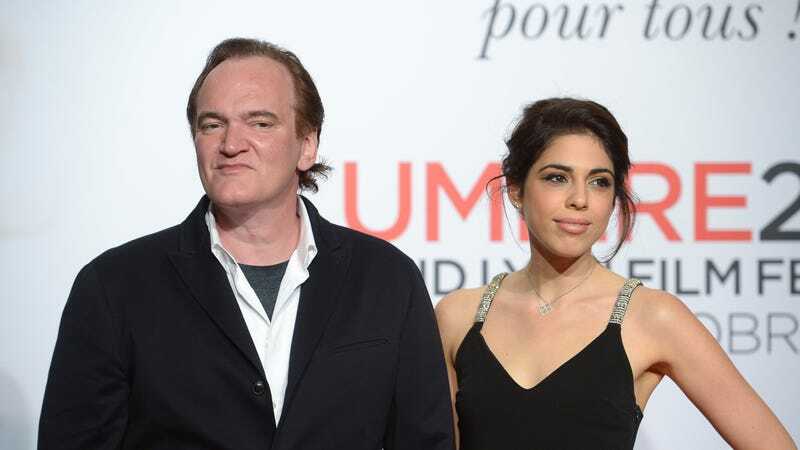 Tarantino, meanwhile, is currently in post-production on Once Upon A Time In Hollywood, his star-studded look at California in the era of Charles Manson. We want to see it, but not nearly as much as we want to know if Ennio Morricone will be at the wedding.